This week, Futuremark announced that their new Cyan Room DX12 test will be released for VRMark next Wednesday (November 22). This comes around a year after VRMark’s original release in November 2016, which first brought the HTC Vive and Oculus Rift oriented Orange Room test, as well as the forward-looking 5120 x 2880p resolution Blue Room test. Originally announced in February along with the still-in-development mobile VR benchmark, Cyan Room is built off a pure DirectX 12 VR engine designed in-house, intended to showcase the advantages that a low overhead API like DX12 can bring to VR, even to less powerful machines. Like the existing “Room” tests, Cyan Room does not require an HMD and offers custom settings and a free-navigation Experience mode. Interestingly, the Cyan Room is no longer described as sitting in between the Orange Room and Blue Room, leaving it unclear where it falls in terms of graphical intensity. For Futuremark as a whole, the Cyan Room is yet another DX12 based benchmark they are adding to their suites. Last month, Futuremark released Time Spy Extreme, a 4K version of their “Time Spy” DX12 3DMark test and generally punishing to graphics cards, with only the Titan Xp hovering close to the 30fps mark. No more technical details about the Cyan Room have been disclosed, but presumably it will incorporate asynchronous compute like in Time Spy Extreme. These releases come at a time where VR headsets are becoming more affordable and low-level APIs like DX12 and Vulkan are continuing to power more and more video games. For the low-latency, high resolution, and smooth framerate requirements of VR, low-level APIs could prove themselves invaluable in democratizing VR experiences. 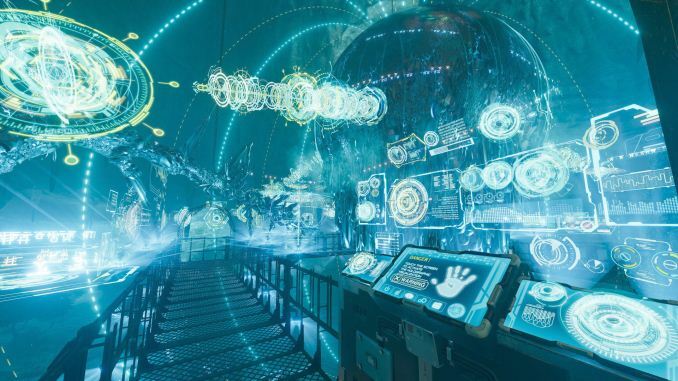 More information on the Orange Room and Blue Room tests can be found in Futuremark’s VRMark Technical Guide, which has yet to be updated with Cyan Room information. 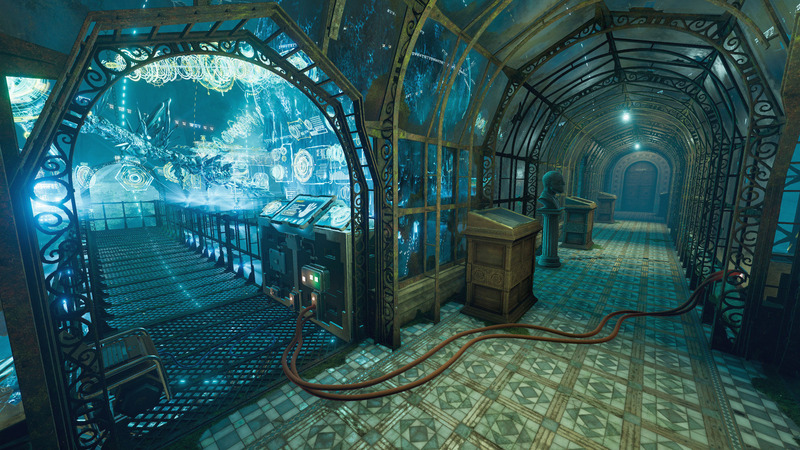 Cyan Room will be released on November 22 as a free update for VRMark Advanced and Professional Editions.